Posted April 14th, 2019 by Mike Boyes & filed under Clinical Neuropsychology, Consciousness, Motivation-Emotion, Neuroscience, Physiology, Psychological Disorders. Source: I feel you: Emotional mirror neurons found in the rat, Science News, Science Daily. 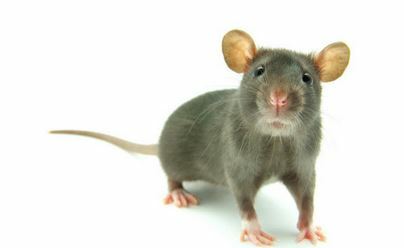 So, rats have neurons in the cingulate cortex of their brains that fire when they feel pain but that also fire when they see another rat experiencing the same pain. That does, indeed, sound like it could be related to empathy or at least to a necessary prerequisite to a full blown empathic response that involves noticing AND then responding to pain in another. This would suggest that we do not need to figure out what others are feeling and that empathy perhaps need not rely entirely on higher order thinking. It also suggests that the roots of empathy may be more basic and less uniquely human that we may have thought. Oh, and here is another interesting finding. Psychopaths, who seem able to think about what other people feel but who do not seem to empathically share those feelings have structural and functional abnormalities in the anterior cingulate cortex, the area in rats’ brains where the mirror neuron for pain were located (see the Koenigs reference below). Curious huh?. What is empathy and how uniquely human would you say it is? Does it make sense to call the firing of mirror neurons in rats, empathy? How do mirror neurons fit within an account of empathy in humans?